Roll-o-Matic is a worldwide provider of roll-bag and plastic converting machinery. Roll-O-Matic was established in 1967 in Denmark, and the company aims to make easy to operate, high quality machines with a long-life span. Their machines can produce a large assortment of different bag products, such as: bottom-sealed bags, star-sealed bags, side-sealed bags, and T-Shirt bags, and other bags on roll. 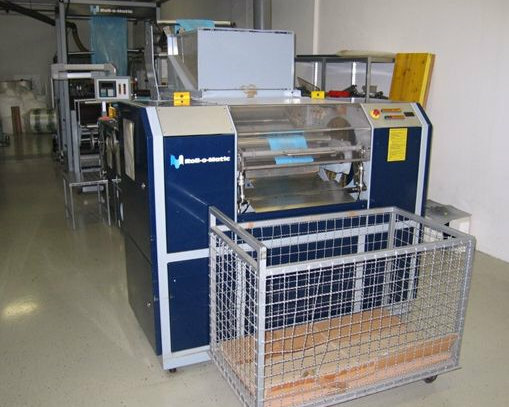 Euro Machinery buy and sell used Roll-O-Matic bag making machines in good condition. The brand Roll-O-Matic is well known and the quality is the best. If you have a Roll-O-Matic bag making machine for bags on roll for sale please contact us. Read more about the company here.